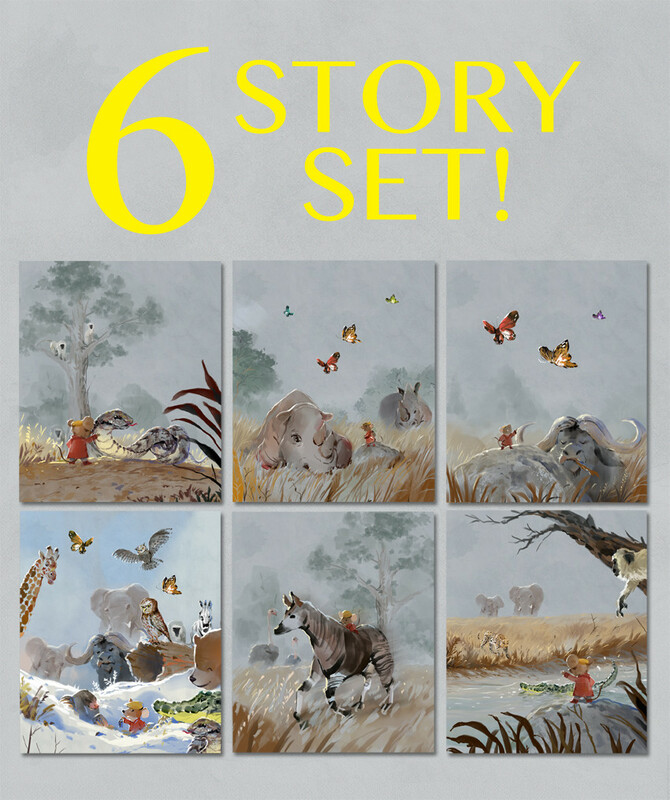 6 Story Set (7-12) SAVE 15%! Mr Brown Mouse stories 7-12, SAVE 15%! • 6 X Illustrated Album Covers. Approximately 70 minutes of awesome Mr Brown Mouse adventure! How To Buy Audiobooks & Why Mr Brown Mouse? When you purchase you will receive an email with a download link. If you are on an iPhone, it is important to download the MP3's to your computer and from there you can store them in your iTunes library and sync them to your iPhone. Through the joy of storytelling we have created a series of 18 delightful audiobook stories for young children. (Currently the first 12 are available and more are coming soon). Our aim is to be able to help! We hope to help parents (when you need it most!) On those occasional nights where you may have had a tough day and are not able to do a bedtime story, Mr Brown Mouse Audiobooks are a great, safe and child-friendly option allowing you to take a moments rest when you may really need it. We hope to help children... With over 3.6 hours of fun adventure (complete set), all our stories are created with wholesome, child-friendliness in mind. They gently introduce themes of courage, friendship, willingness, optimism and selflessness while helping grow the imagination. You can be sure that your child is listening to safe and uplifting stories. The Mr Brown Mouse stories also nearly always end in "bedtime" for Mr Brown Mouse, helping your child feel sleepy and ready for bed. We also hope to help others... As Mr Brown Mouse is often found helping other animals in the forest (even Mr Snake who had a knot in his tail) We also hope to be able to help those around us who may need help. We are not yet sure how this part will work out, but we hope to figure out ways to help those who may be hurting, vulnerable or in need. We will keep you posted! • Mr Brown Mouse stories are great for bonding and teachable moments as you and your child can listen and enjoy together. • They are Awesome for road trips and holidays to help the children handle the trip. • Great for babysitters, Au pairs and child minders. • A Delightful, story in MP3 format suited to children from around 3.5 - 6 years old (dependent on the child). • Professional, top quality Voice Overs with multiple characters. • Delightful, age-appropriate sound effects. • Originally illustrated, full-colour cover art for your MP3.